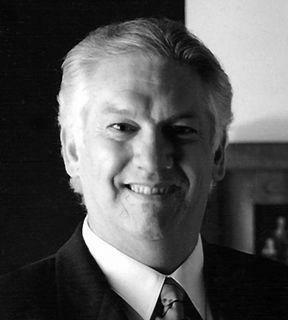 New Zealander Christopher Doig OBE made his operatic debut as a principal tenor at Wiener Staatsoper where he sang some 40 roles, partnering some of the world's outstanding singers. He then became principal lyric tenor in Linz, undertaking guest contracts throughout Europe including La Scala, Hamburg Staatsoper, Cologne Opera, Stuttgart Opera, Barcelona Opera, the Vienna and Salzburg Festivals. From 1984 he maintained a busy schedule of engagements in New Zealand, Australia and Europe. Highlights include Loge in the State Opera of South Australia Ring, Walther in Die Meistersinger von Nürnberg, Tito in La clemenza di Tito, Peter Grimes, the Duke in Rigoletto, Don José in Carmen, Laca in Jenufa, Maurizio in Adriana Lecouvreur, Herod in Salome – for which he won a Green Room award – Boris in Katya Kabanova, and Pinkerton in Madama Butterfly. He was Artistic Director of the 1990 and 1992 NZ Festivals. His Wagnerian repertoire also includes David in Meistersinger (Opera Australia and Wiener Staatsoper), Steuermann in Der Fliegende Holländer (Wiener Staatsoper), and Eric in Der Fliegende Holländer (Cologne). In early 2007, he resigned his role as Chair of the Arts Council of New Zealand to lead ‘Project Opera’, aiming to ensure the survival of opera in the South Island.